Kyosho Ferrari 512BB 1/18 Scale Model Diecast. 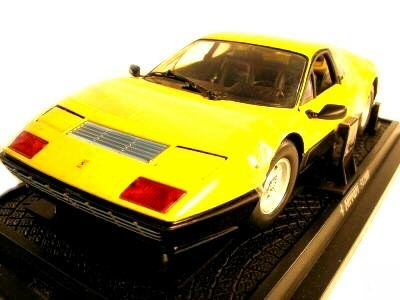 This is a 1/18th scale diecast model of the famous Ferrari 512 Berlinetta Boxer. Magnificent detailing and a truly beautifully crafted model. Please note that this is a BIG and HEAVY model and consequently quite expensive to ship BUT... as with ALL our products, we ship it for free! Scale 1/18, measures some 10 inches or 25 cm in length.